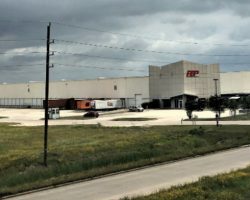 In Q1-18, Artis acquired Cedar port, two parcels of land totalling 52.5 acres in Houston (Baytown), Texas, for the multi-phase development of approximately 1,000,000 square feet of industrial real estate. Site work is under way for Phase I of this project, which is anticipated to total approximately 519,000 square feet and is 100% leased for a 12.5-year term with annual rent escalations of 2.5%. Artis anticipates the completion of this project in Q2-19.